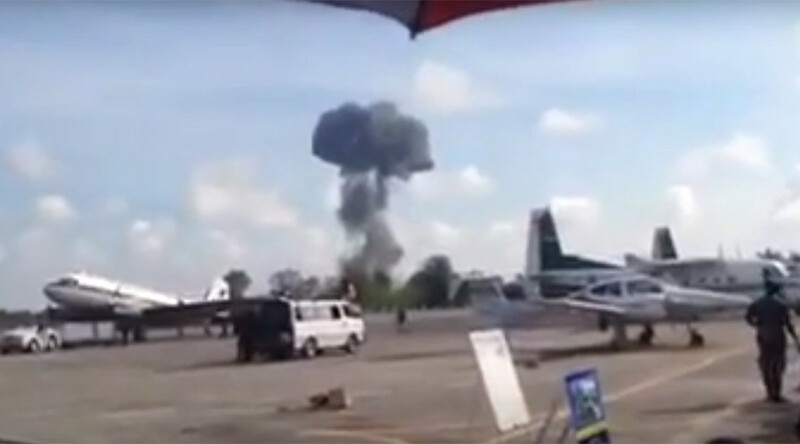 A Saab Griben fighter jet taking part in the Children’s Day airshow at Thailand’s southern Hat Yai International Airport has been filmed crashing to the ground, with smoke and flames erupting from the spot. The pilot was reportedly killed in the crash. A colorful show for children in Hat Yai turned into a nightmare on Saturday, as one of the pilots flying over the airfield lost control of his aircraft and crashed into the ground. A video filmed from amid the crowd of onlookers celebrating the holiday with balloons and umbrellas shows what is reported to be a Swedish-made Saab JAS 39 Gripen jet buzzing the airport. The jet appears to be going into a stunt maneuver, before quickly turning over and nearly nose-diving into the ground in the distance. The pilot, who was not seen ejecting, is said to be dead. While the plane fell a fair distance away from the crowd, it was not immediately known if it caused any damage or casualties on the airfield. The show took place on Children’s Day, which this year was celebrated in Thailand on January 14.